Apprenticeship Week celebrates the positive impact Apprenticeships have on individuals, businesses and the economy. The aim of Apprenticeship Week is to engage with employers and promote the advantages of taking on and supporting apprentices in the workplace while highlighting the talent and skills apprentices bring businesses and the wider economy. Catherine is working toward a level 3 teaching assistant post in a primary school. 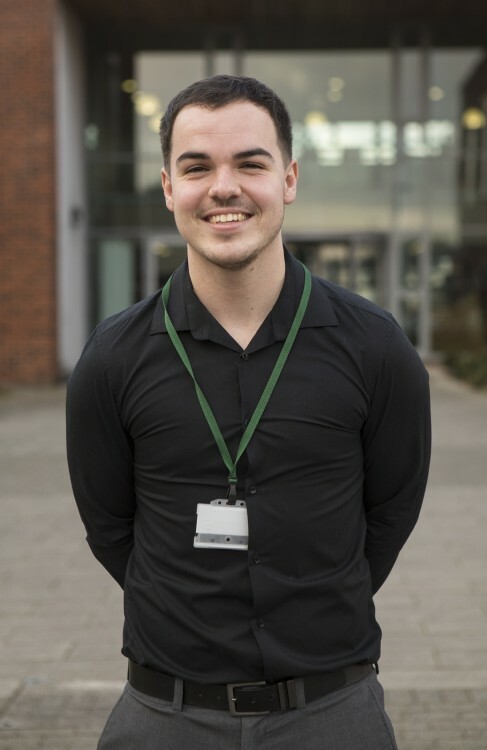 ‘I chose an apprenticeship to gain a higher level of education whilst gaining valuable life and work experience. I began volunteering in a primary school so I could gain experience and confidence. I knew immediately that it was the career I wanted to pursue. I started researching how to do it and decided that it made the most sense for me to learn whilst in the setting I love. I volunteered in the primary school for 2 months when they offered me the apprenticeship. This was perfect for me! Working for Monmouthshire County Council is rewarding personally because I have grown up here and was even placed into local authority care for a while as a child and so my placements and support were funded by the council. I feel that they invested a lot in my future and now I am supporting children in the county, I see it as returning some of the care and support that I received. I have learnt so much. I have been on courses and training which has been useful to use in the classroom and my future career, I have learnt so much about myself. I know now what I want to do with my life, I want to continue to work in education. In 5 years I would like to be training to become a teacher and ideally planning to go into educating children with additional learning needs as this is my passion. ‘I chose to work as an apprentice as I thought the support and guidance from my peers would be very useful. I wanted to gain real life skills in the work place. I always thought it would help with things like strengthening my CV and help me progress. It also means I am earning a wage whilst constantly learning. Each day is totally different in the office there is always so many different things to do. From every day jobs like daily answering the phones and replying to/sending emails I also then on other days might have to write letters. My favourite part of working for Monmouthshire County Council is good benefits such as opportunities to go on training courses and learn new skills. 18 year old Mike Jones works at Hilston park with Gwent Outdoors. ‘I chose an apprenticeship because l love the outdoors, and l enjoy working with children and young people. I was a swim teacher and ever since l started l knew that a job where l could work with children and young people would be best for me. I help out with the variety of groups that come to Hilston Park when they are doing activities, such as high ropes, canoeing, hill walking, caving, archery and the list can go on and on. but also hope to lead my own groups soon and get coaching qualifications, such as a mountain bike leadership level 2 once I get these awards i am then a step closer to starting to lead my own groups. I find it very rewarding seeing the kids going out of their comfort zone and pushing themselves to achieve new things. l have learnt so many new skills and my confidence is growing all the time and I can’t wait to start leading groups on my own. 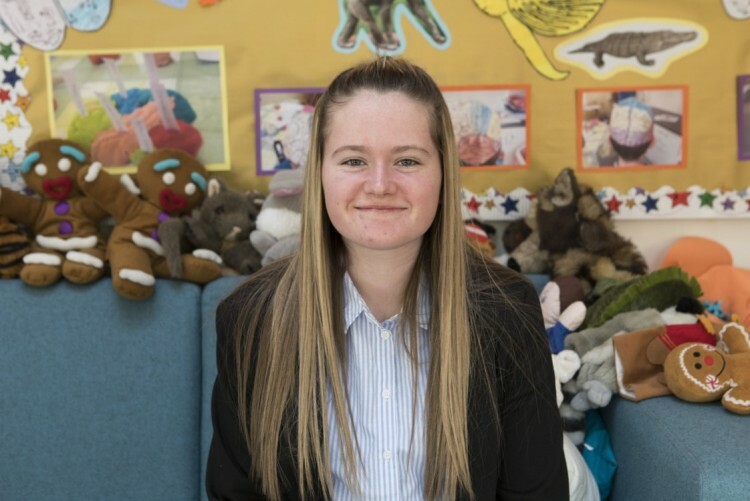 Meet Amy Poskitt-Jones, Apprentice Teaching Assistant with MCC at Dewstow Primary School. Monmouthshire Youth Enterprise Team helps young people realise their full potential. They have helped Amy realise her dream to work with children, here’s Amy’s story. I’m Amy Poskitt-Jones and I’m 17 years old. I’m a level 2 teaching assistant at Dewstow Primary School. My favourite part of working for Monmouthshire County Council is being able to help young children do their best in early stages on their lives and in all areas of their work. I am currently studying childcare whilst working at the school. My typical day in work is helping with tasks such filling up the children’s water bottles, taking the dinner register and get them settled for the day. My responsibility is to make sure the children are listening to the instructions given by the teacher. Since starting my apprenticeship I have learnt how to keep the children I work with protected and safe. I love watching the children progress. In 5 years I would like to be a fully qualified teaching assistant and continue to help and support children. 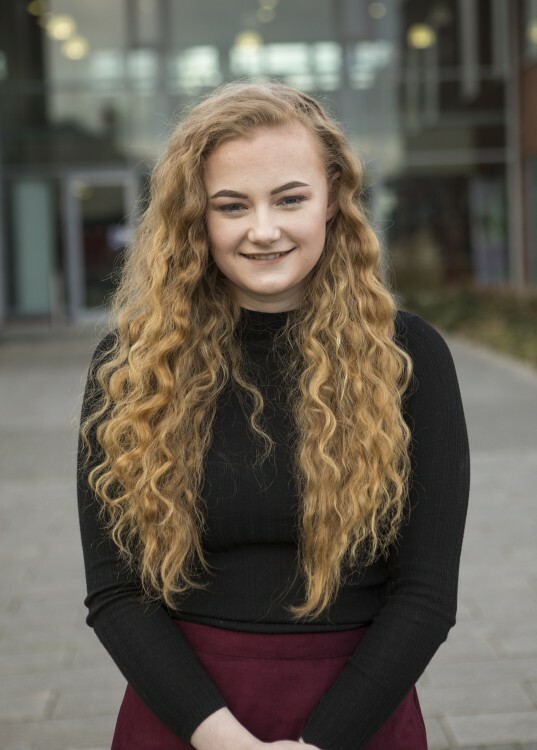 Keira Pitt is 19 and works for the Youth Enterprise team on the Inspire2Achieve and Inspire2Work programmes and completing an apprenticeship with MCC in Level 3 Business Administration. Keira works in a team that inspires and encourages young people get back in to education, employment or training, she is an inspiration to other young people. ‘After leaving college in 2017 I didn’t feel ready for university. I wanted to continue to train and develop skills, earn an income and become more independent. My apprenticeship has provided opportunities to do all of these things. Since starting my apprenticeship my confidence has grown and I have learnt how to work as part of a busy team and take on responsibilities. My biggest success during my role so far is the development of my communication skills and confidence. I am talking to people of all ages in a variety of situations everyday my confidence has grown both in work and outside of work! My favourite part of working for MCC is the support I have received. I chose this apprenticeship as I thought it would be a really good opportunity as I know that the council are great to work for and the fact I would have the chance to earn money and make a living while I learn and improve my skills. When it comes to what I get up to everyday I don’t think I have a typical day to be honest, as nearly every day I have done something different. For example I have taken part in meetings to take minutes, I’ve gone out into the community and spoken to people about our plans as a council to improve the county, I have also helped organise workshops and forums as well as doing the usual admin work and organising meetings for my team. Having a previous job helped me learn some work life skills but going from my previous job to this one I’ve learnt to use many different key skills that I haven’t had the chance to really use in my previous work, for example, my I.C.T skills are being put to much more use and with that I’m improving more upon those skills, team work is another prime example of skills that I have not necessarily learnt but improved on. If I had to choose my biggest success in my role so far – while not necessarily my biggest success but one of the biggest roles I have taken would be helping to organise a ‘Talk to us’ forum with members of the public, where my role was organising the transport and food, although we hit a few stumbles on the way, I believe the overall day was a success. My favourite part of working here is the fact that everyone is so supportive and the fact that if I had a problem I believe everyone would be asking if there is any way that they can help out and not just leave me to struggle on my own. If I had to say where I saw myself in 5 years’ time I would say that hopefully I can just continue to improve on my skills and building my network and connections within the council. More stories coming every day this week!….